I read influencer marketing blogs and newsletters every day. Don’t get me wrong—a good tips post has helped me greatly over the years. But I’m a sucker for posts containing facts, strategies backed up with data, and most of all… charts! There is always good research coming out in the world of marketing, but in the past few weeks, the quantity and quality of data published has increased greatly. For this post, I’ve rounded up some of my favorites. Understand the readers, not just the blog. 90% of bloggers want to do contests and giveaways with their readers. Actually read the blog before pitching. A pet peeve is a PR person who reaches out with an irrelevant story or idea. 79% of mom bloggers accept advertising to monetize their blog. Implement a strategy that works on multiple platforms—most bloggers promote their blog on social media. 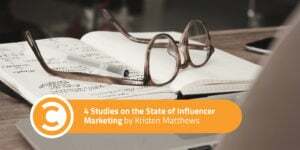 Two studies were recently released on influencer marketing revealing what makes for successful influencer outreach. When analyzing the commonalities of these studies, the biggest takeaway is how important it is for marketers to vet influencers using both technology and human eyes. Stats, reach, and social footprint are very important and can be streamlined with a blogger outreach tool. However, only humans can vet for content quality and authenticity. An influencer outreach strategy that allows time for both forms of vetting is crucial to success . This post reveals more. 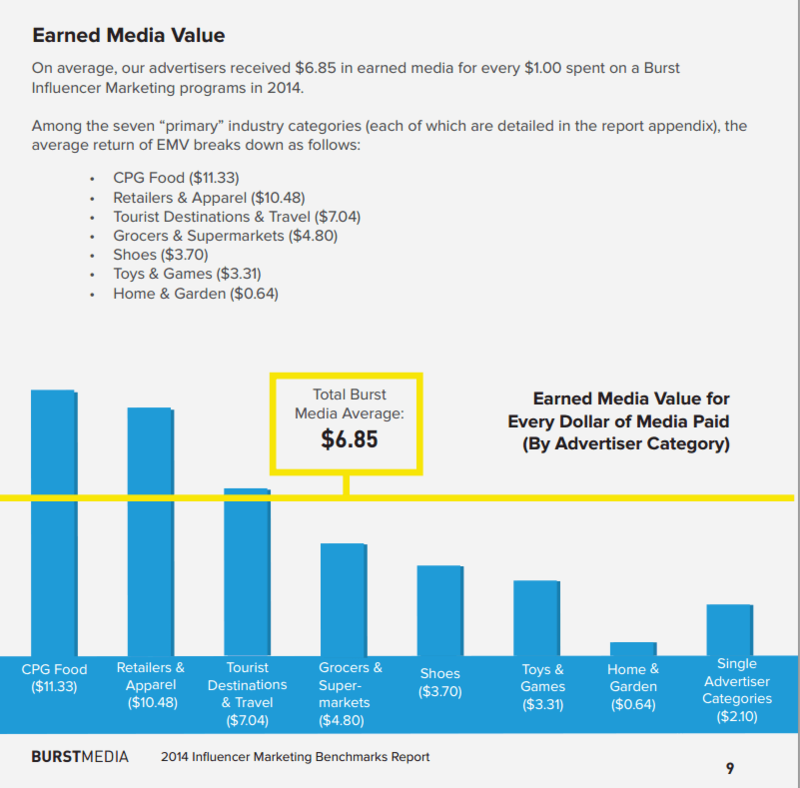 I love this study from Burst Media on Earned Media Value. Particularly the part where they dissected earned media value by industry and showed how much travel and food brands are earning for their money spent on paid media. Where Do Marketers Stand on Blogger Outreach? Being so close with all of our clients at GroupHigh, I had the luxury of surveying our own network to see how marketers are implementing blogger outreach and their thoughts on the effectiveness of a blogger outreach tool. Most marketers implement both a campaign and network building strategy when it comes to blogger outreach. The majority of marketers surveyed vet for traffic and a blogger’s social presence, but less than half look at SEO stats. You can check out other findings in this post.